In response to the attack, Chinese President Xi Jinping pledged to severely punish terrorists and spare no efforts in maintaining stability. Xi asked local authorities to solve the case quickly, put the injured under proper care and offer condolences to families of the victims. 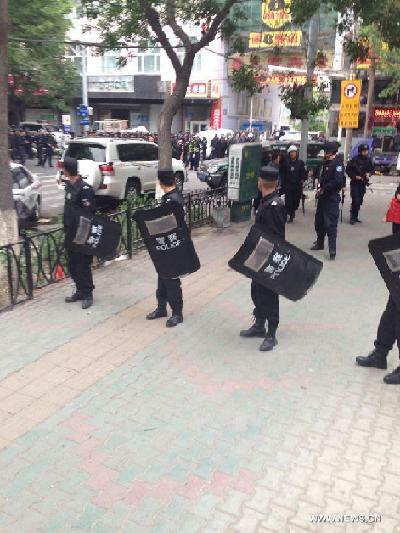 The blast is a "serious violent terrorist incident", China's Ministry of Public Security said. Domestic security chief Meng Jianzhu vowed to "destroy the arrogance of violent terrorists". A work panel led by Public Security Minister Guo Shengkun has headed for Xinjiang to join the investigation. All the injured were rushed to hospitals. The regional government has launched an emergency response system and organized medical efforts for treatment of the injured, said the statement. Witnesses said two off-road vehicles driving from north to south plowed into people in the market. Explosives were thrown before the vehicles exploded. Many of the injured were elderly people who frequently visited the morning market, according to witnesses. 31 people were killed and 94 injured after explosions occurred Thursday morning at an open market in Urumqi, capital of northwest China's Xinjiang Uygur Autonomous Region.